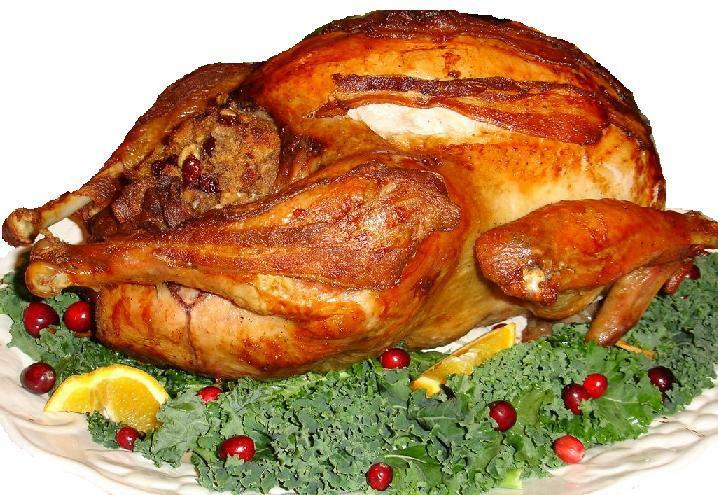 The calories you consume in Thanksgiving dinner alone are more that you probably eat in 1-2 days. How many calories should I eat in 1 day? In today's health-conscious society, the desire to eat healthily and be thin conflicts with this tradition of gorging yourself on delicious foods once a year. But you can have your cake (or pie rather) and eat it too! There are a few steps where you can cut corners and calories while still enjoying Thanksgiving. A great first step to not over-eating on Thanksgiving is to control your portions. None of the portions on your plate should be more than the size of your fist. Even if you are eating a low calorie Thanksgiving dinner but are not controlling your portions, you are most likely still overeating. Try taking smaller bits of food on your plate. You are less inclined to eat quickly without realizing that you are full. In between courses, take a deep breath, stand up, walk around, and then sit back down. This will make you realize if you are getting full and will slow down the intake of food at the dinner table, thus controlling your portions. The point of Thanksgiving is to taste the wonderful feast in front of you and be thankful for how lucky you are that you can partake in such a festivity. A lot of the time, people forget to chew their food because either there is so much on the table or it just tastes so good. Chewing your food thoroughly will help prevent you from eating too much before realizing how overly full you are. Try setting down your fork and knife, chewing at least 20 times per mouthful and taking a sip of water after each bite. You will eat more slowly which will help make you realize it when you are getting full more accurately. Remember, Thanksgiving dinner is not a race. A lot of Thanksgiving recipes call for heavy creams, high fructose corn syrups, shortenings, butter, sugar and any other kind of food that a health-conscious person avoids generally on a regular day to day basis. You might be eating twice as many calories per bite and not even know it. Is honey an acceptable substitute for sugar in cooking? If you are in charge of the cooking, try to replace heavy creams with 2% milk (skim milk might change the flavoring). Try substituting high fructose corn syrup and sugars with honey or no-calorie sugar substitutes. You can also switch out butter and oils for margarine. Sometimes margarine might change the composition of the food, so be careful when using it. It can also change the flavor of the food. Go for butter-flavored margarine like "I Can't Believe It's Not Butter..." or "Parkay." Thanksgiving foods are known to be salty, savory and delicious. But all of that salt can give an after dinner bloat that is not flattering on the waistline. 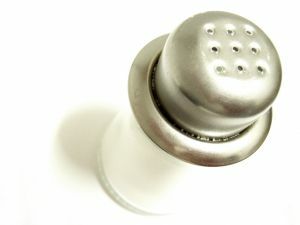 Plus eating too much salt on a regular basis can have negative effects on your health. Does Eating Foods High in Salt and Sodium Increase My Blood Cholesterol Level? Try substituting low sodium foods where you can. For example, if using chicken broth or canned mushroom soup for your green bean casserole, try getting the low sodium versions. You probably won't even notice that the sodium is missing, and you can control the sodium levels yourself. Another great option is buying unsalted butter. You can add as little salt as you want to flavor it the way you want without the hidden sodium in salted butter. After you eat that delicious Thanksgiving meal, all you want to do is take a nap because of all of the tryptophan in Turkey. It is hard to resist the couch after dishes are done, but stop yourself and take a walk instead. If you take even as little as a 20 minute walk after eating that big Thanksgiving dinner, there is less of a chance that the food will stick to your arteries (and to your waistline). Also, getting up and moving around will give you more energy to participate in activities instead of laying on the couch from the end of dinner until bed.